The holiday season, as well as the weeks leading up to the Super Bowl, are huge TV promotion and sale periods. 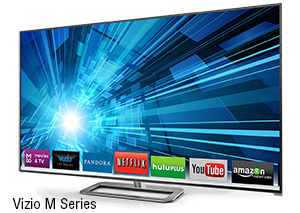 Best picture at a moderate price: Vizio E Series (for sets up to 60 inches) and M Series (best for bigger screens). These sets using light-emitting-diode (LED) technology deliver picture quality that is superior to many sets that cost much more, thanks in part to Vizio’s “local dimming” technology. It can automatically dim certain sections of the screen (those areas where the picture is supposed to be darker) while other areas remain bright, resulting in excellent contrast. These sets do well in very bright rooms, unlike many other HDTVs. Best picture at a moderately high price: Samsung F8500 is one of the few plasma sets remaining on the market. Plasma TVs have lost the competition against LEDs and have been disappearing from the marketplace (see page 12 for reasons). Despite that defeat, a plasma TV in this price range (around $1,400 to $2,500) can offer deeper shades of black—and a superior picture when viewed from an angle—than any comparably priced LED set. The Samsung F8500’s picture is especially impressive, with exceedingly deep black levels, bright whites and accurate colors. Unlike some plasmas, it even performs well in brightly lit rooms. It has plenty of special features as well—for instance, the set can be controlled via voice or gesture commands. Samsung is discontinuing production of this excellent TV, so you shouldn’t wait too long if you are interested. 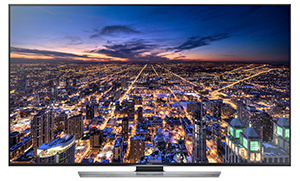 Prices: 51-inch, $1,400…60-inch, $2,000…64-inch, $2,500. 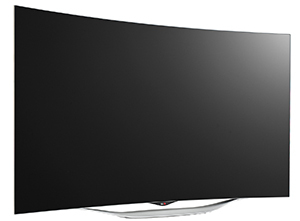 Best picture at any price for currently available content: LG 55EC9300 is a 55-inch HDTV with a curved screen (the left and right sides of the screen curve toward the viewer) and OLED technology, which uses a film made of organic compounds to deliver truly deep blacks and vibrant colors, resulting in a picture that is even better than that from a plasma TV. The curve is not what makes it the best picture—even though it is meant to immerse you in the picture, it really is just a gimmick, neither enhancing nor detracting from the viewing experience. This new OLED technology comes at a high price—typically around $3,500. Best sound quality: Sony X900B. If you want truly high-quality sound to go with your high-quality picture, the best solution usually is to add an external soundbar or home-theater sound system. That’s because most TVs, including the ones described above, have poor or mediocre sound quality. This Sony model, which uses 4K technology, is the rare HDTV that offers excellent sound on its own. It has high-performance speakers extending from both sides of the screen, which look a little odd but provide sharp ­vocal clarity and deep bass. (An optional $299 Sony subwoofer, model SWF-BR100, further enhances the sound.) This set’s picture quality is excellent, too. Prices: 55-inch, $2,800…65-inch, $3,800. Best TV projector: Epson Home Cinema 5030UB. HDTV projectors let you watch high-definition TV images on a movie screen or wall. You can make the picture very large if you like—potentially even larger than the pictures on massive HDTVs with 100-plus-inch screens that can cost five figures. You even can bring an HDTV projector outside on nice nights and watch TV under the stars on a sheet, screen or the side of your house. Picture quality suffers dramatically in bright rooms, however—the projector TVs do best with the lights out and shades drawn. This Epson handles moderate background light better than other HDTV projectors, thanks to its best-in-class light output, but even it is a poor choice for bright rooms. Price: $2,500. Alternative: BenQ W1070 projector can’t match the Epson’s high-end picture quality or light output, but it does a good job in dark rooms (or outside on dark nights) for a fraction of the cost. Price: $730 to $1,000. LED sets make up the vast majority of the TVs that are for sale this year. These are virtually identical to the liquid crystal display (LCD) sets that used to dominate the market except that the screen backlighting is provided by light-emitting diodes (LEDs) rather than fluorescent bulbs, which allow LED sets to be slightly brighter, thinner and more energy-efficient. Plasma sets have lost the war with LEDs/LCDs. The problem with plasma sets, which use tiny electrically charged gas-filled cells to create the picture, isn’t one of quality but rather cost. LED manufacturing costs have fallen fast, making it impossible for plasma makers to compete, and they were struggling to overcome the technological challenges of making ultra-high-resolution 4K plasma sets. OLEDs, which use a film made of organic compounds to improve the picture, are a cutting-edge version of LED sets that deliver superior colors and contrast. But OLED technology still is new and expensive. 4K or UHD (ultra-high-definition) is a major step forward in resolution—images have four times as many pixels as with standard 1080p HDTV (1080p refers to the number of lines of horizontal resolution and progressive scan technology). Despite all those extra pixels, however, the difference in picture quality often is very difficult to discern. Also, there’s currently almost no 4K content available and no sign that much will be offered in the near future. Although 4K sets promise to “upscale” non-4K content, it usually doesn’t look any better than regular high-definition. 3-D sets are common—most high-end TVs offer this feature. But while watching 3-D programming that seems to leap out from the screen might sound appealing, the scarcity of 3-D content and the need to wear special glasses have prevented this from becoming more than a gimmick. 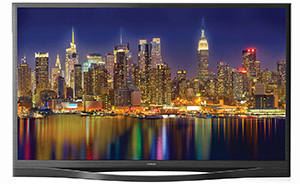 * HDTV prices often decline during the holiday shopping season. All the sets except the Vizio E and M series can play 3-D content.